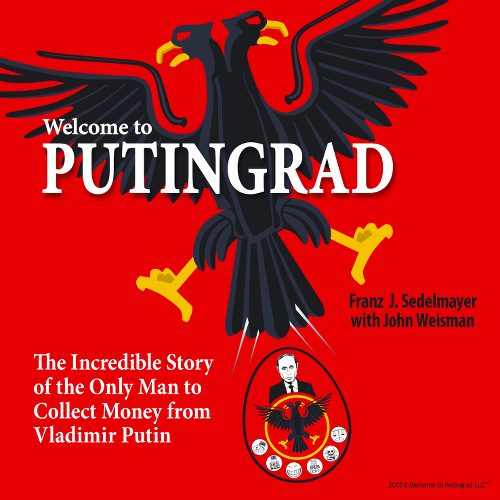 German entrepreneur Franz Sedelmayer is the ONLY individual ever to collect money from Vladimir Putin’s Russia. Franz’s unique story provides a portrait of Putin that only someone who spent time with him face-to-face and after-hours could write. 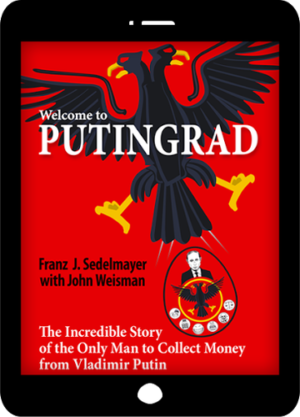 Franz’s fly-on-the-wall perspective also details how Putin‘s Russia became the authoritarian, corrupt kleptocracy it is today. Franz built a successful police supply and training company. One of his biggest supporters was St. Petersburg’s young deputy mayor, a former KGB lieutenant colonel named Vladimir Putin. The two bonded. 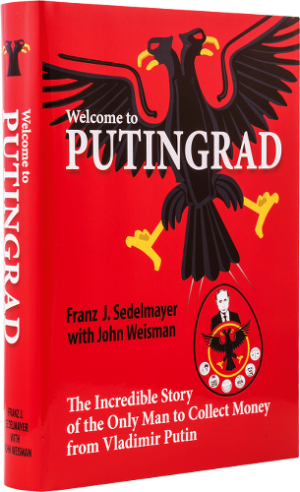 For Putin, Franz created and trained the KGB’s first Western-style SWAT team. In 1996 Franz’s Russian company was expropriated by President Boris Yeltsin. Putin, ambitious, political, and ruthless, let it happen. And because he did, he landed his first Moscow post. Franz sought arbitration and won—but Russia refused to pay damages. Undeterred, Franz waged a 20-year campaign against the Kremlin and its current president, his former friend. He foreclosed on Russian state property in Western Europe.